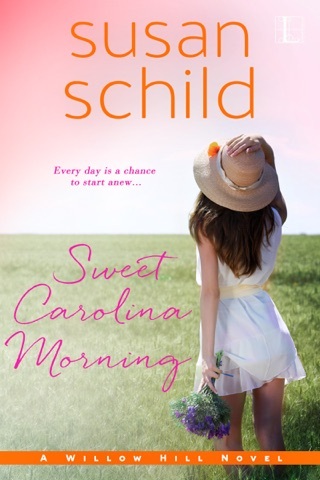 This was my first Susan Schild story, but it won't be my last. I thoroughly enjoyed reading about the adventures Linny took with her mother and her friends while RVing on their trip. They seemed to learn more about themselves as well as grew closer together as they learned more about each other. Linny had major issues to deal with at home all while she and her new husband Jack seemed to have one curve ball after another thrown in their newlywed life. From her stepson coming to live with them right after the honeymoon, to dealing with the ex-wife and her issues. How will things turn out for Linny and Jack? 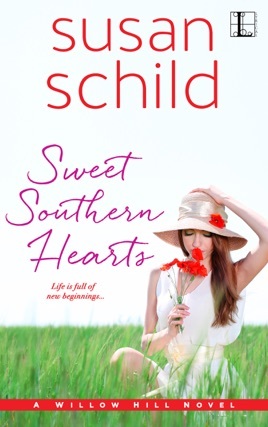 You'll have to read SWEET SOUTHERN HEARTS to find out. But this sweet loving romance novel will be worth the time. There are lots of twists, turns and bumps in the road along the way. However you'll feel the love throughout the story, just amazing. I laughed, felt the frustration from the characters as well as shed a few tears (especially in the end)! Go for what makes you happy!! I received an ARC via Tasty Book Tours through NetGalley in exchange for an honest blog tour review. ~ He directs your course as surely as rivers run to the sea. you can’t help but smile as this new friend moves off into her life. Having read and appreciated the time spent with Linny as she tackles the next chapters of her life, I was excited to see if she would find what she has been searching for. Opening with her honeymoon to the handsome Jack, the town vet, she is just starting to find those moments of connection and satisfaction in her new roles as wife, step-mother and new aunt. What Schild does with such disarming regularity is present the good, the bad, and the mundane of a normal everyday life, with a few added tweaks, and keep you caring about HOW Linny will approach each situation, solve the problems, or simply ignore the misbehaviors (think teen boy) and do what you were planning anyway. It’s delightfully nuanced, layered with plenty of challenges and joys, and even those unexpected moments of humor from people and situations that happens when least expected. It’s been such a wonderful journey with her as she regrouped, realigned and reformed her life into a vision she built and nurtured, and you can’t help but smile as this new friend moves off into her life.